Digital temperature sensor with 1-Wire interface and IP20 protection. 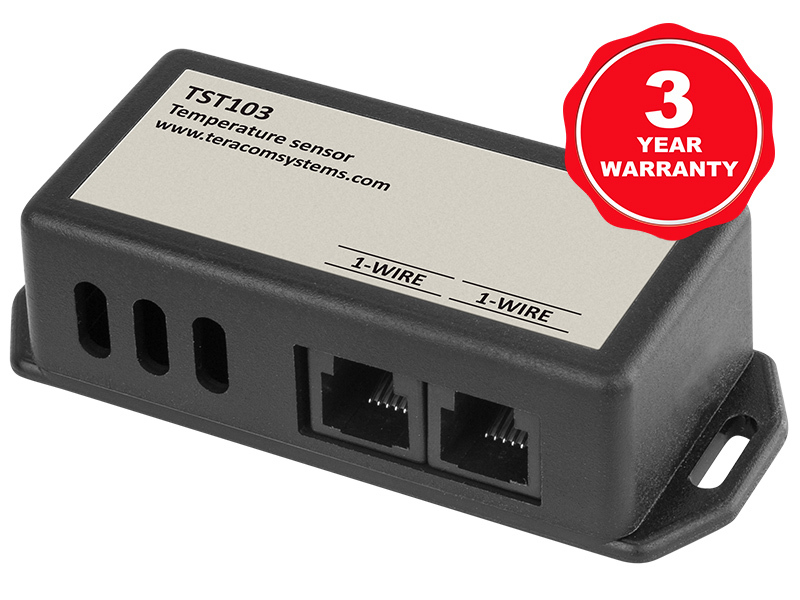 TST103 is a digital temperature sensor with a 1-Wire interface and -40 to +85°C working range. 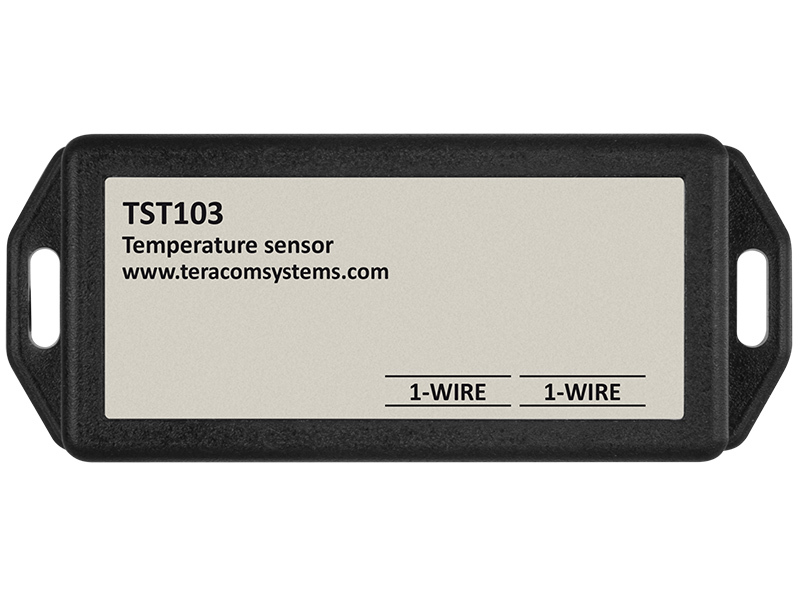 TST103 is a digital temperature sensor with a 1-Wire interface. It is an excellent solution for temperature monitoring and control. The digital temperature sensor provides high measurement accuracy as low as ±0.5°C in -10 to +85°C range. It works with 12 bits precision from the onboard digital-to-analog converter. The current consumption is lower than 2mA, while the supply voltage is from 3 to 5.5VDC. 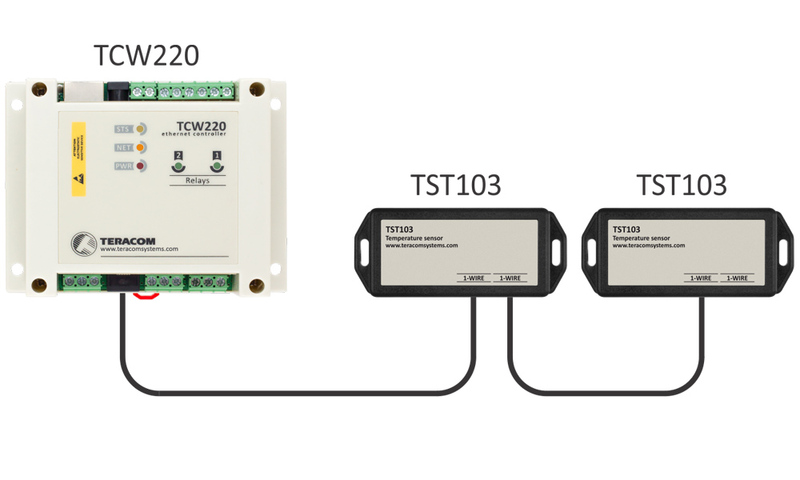 TST103 communicates with controllers over a 1-Wire bus. Each sensor has a unique 64-bit serial code, which allows multi-sensors support over the same 1-Wire bus. 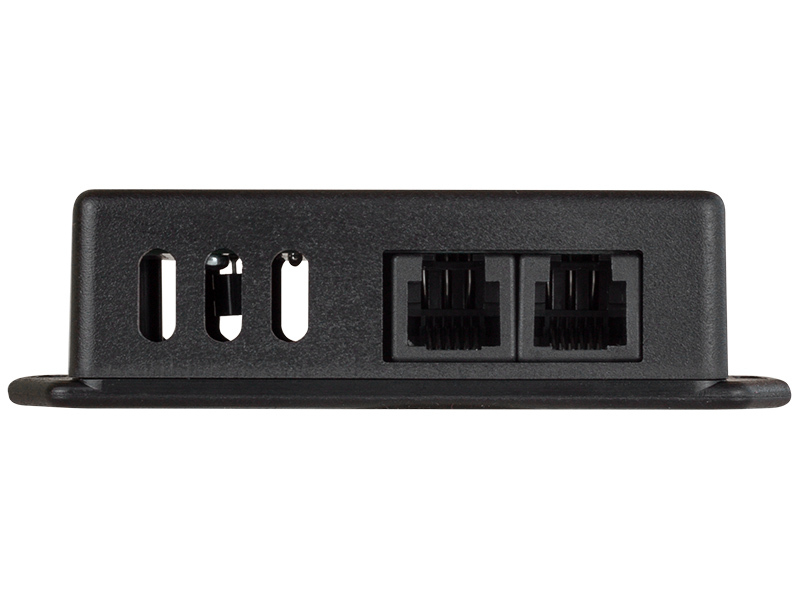 The digital temperature sensor utilizes two RJ11 connectors for an easy daisy chain wiring. Temperature monitoring and logging for food and drug storages.